Alexandra Bergsons, the daughter of Swedish immigrants, inherits her family's ailing farm in Hanover, Nebraska, upon the death of her father. Over the years, she turns the farm into a successful enterprise. However, success has not brought peace, as passion and love intervene. 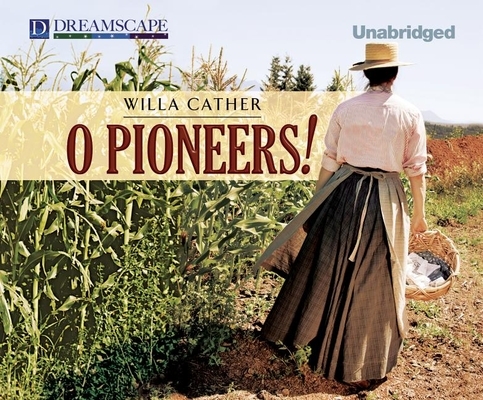 Willa Cather (1873-1947) was an American author and Pulitzer Prize winner. She was noted for her novels of life on the Great Plains, including My Antonia and O Pioneers! READER BIOA versatile singer and character actress, Betsy has appeared onstage in regional theatre and opera, and in concert with several symphony orchestras. She has toured nationally and internationally with Michigan Opera Theatre, and with renowned children's theatre company, The Prince Street Players. Betsy has worked in film and television, and frequently sits in on vocals with some of northwest Ohio's finest jazz musicians.